The twelfth meeting of the Accession Conference with Turkey at Ministerial level was held today in Brussels. The European Union delegation was headed by Bert Koenders, Minister of Foreign Affairs of Netherlands, on behalf of the Netherlands Presidency of the Council of the European Union. The European Commission was represented by Johannes Hahn, Commissioner for European Neighbourhood Policy and Enlargement Negotiations. 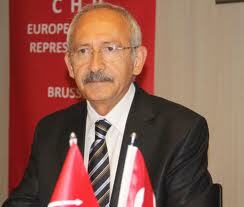 The Turkish delegation was led by Ömer Çelik, Minister for EU Affairs and Chief Negotiator, accompanied by Mevlüt Çavuşoğlu, Minister of Foreign Affairs, and Naci Ağbal, Minister of Finance. The Conference opened negotiations on Chapter 33 – Financial and budgetary provisions. This chapter covers the rules concerning the financial resources necessary for the funding of the EU budget (‘own resources’). These resources are made up mainly from so-called traditional own resources from customs and agricultural duties and sugar levies, which are levied by the Member States on behalf of the EU; furthermore a resource based on value-added tax; and finally, a resource based on each Member State’s gross national income. Member States must have appropriate administrative capacity to adequately co-ordinate and ensure the correct calculation, collection, payment and control of own resources. The acquis in this area is directly binding and does not require transposition into national law. During the Conference, the EU extended condolences and reiterated its solidarity with Turkey following the terrorist attack in Istanbul last Tuesday, reaffirming its pledge to support fighting terrorism. The European Union also reiterated the importance it attaches to the close relations between the EU and Turkey, noting the close cooperation in a number of important areas of common interest, such as migration, counter-terrorism, energy, economy and trade. In line with the outcome of the EU-Turkey Leaders’ meeting on 29 November 2015, and the EU-Turkey Statement of 18 March 2016, the EU welcomed a re-energizing of the accession process and confirmed its willingness to support Turkey in its reform efforts. In this regard, the EU reiterated the need for swift reform efforts, particularly in the areas of rule of law and fundamental rights. In addition, the EU recalled that Turkey can accelerate the pace of negotiations by advancing in the fulfilment of benchmarks, by meeting the requirements of the Negotiating Framework, and by respecting its contractual obligations towards the EU. Since the start of the accession negotiations on 3 October 2005, sixteen chapters have been opened, of which one has been provisionally closed. Turkey has fulfilled its obligations of full, non-discriminatory implementation of the Additional Protocol to the Association Agreement towards all Member States. Turkey increases its administrative capacity and coordination structure and to this end adopts an action plan in order to sufficiently prepare and introduce procedural rules to ensure that it will be able, from accession, to correctly calculate, forecast, account for, collect, pay, control and report to the EU on own resources in line with the acquis. The EU also underlined that it would devote particular attention to monitoring all specific issues mentioned in its position with a view to ensuring Turkey’s administrative capacity to ensure the correct calculation, forecast, collection, payment and control of own resources and reporting to the EU for implementation of the own resources rules.